Finishing：Cut to size. Grommets are optional. 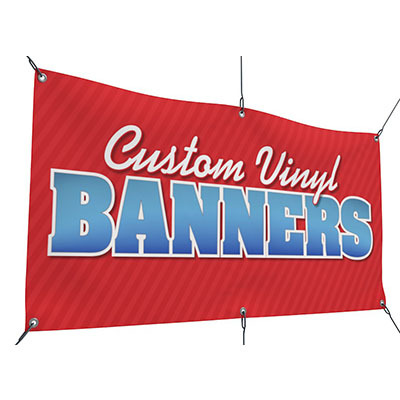 Wholesale Vinyl Banners are large format advertising tools that grab attention even from afar. Since they hang high above other signage and foot traffic, custom Vinyl Banners help businesses make a big impact. Vinyl Banner printing is especially suitable for retail stores and trade shows, as they save valuable floor space.